I read this article and found it very interesting, thought it might be something for you. 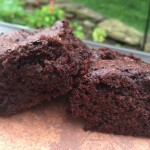 The article is called Black Bean Brownies and is located at http://www.gardendish.com/black-bean-brownies/. 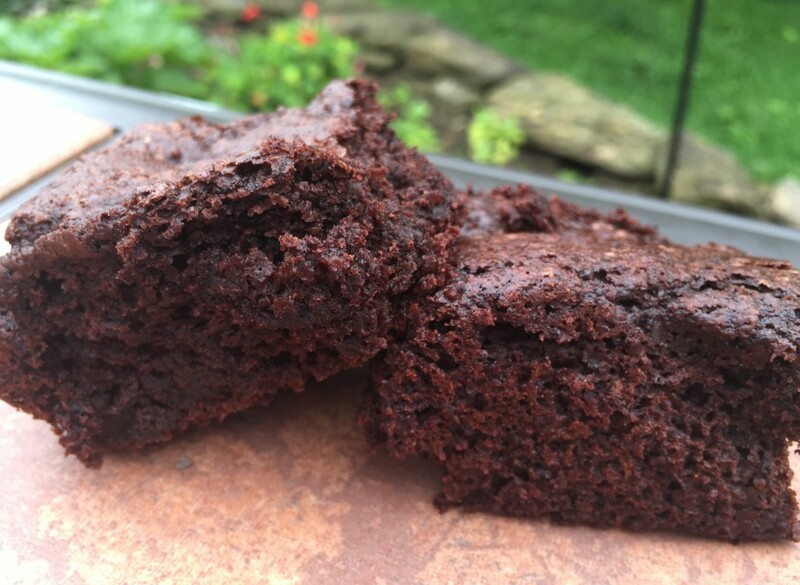 Black Bean Brownies are rich, tender, and oh-so-chocolatey. They’re a fun indulgence with some health-promoting ingredients like cocoa powder, whole grain pastry flour, black soy beans, and flax meal. So we feel a little less guilty about enjoying them so much. But they still contain sugar so let’s not consider them health food. Let’s just say they’re a better brownie. A word about cocoa powder. Some folks confuse the health benefits of cocoa powder with chocolate, as in candy. But research shows the benefits of cocoa powder far outweigh those of chocolate candy, even when considering dark chocolate candy. That’s why these brownies use cocoa powder. If you’re a baker, you may have a preference for either regular cocoa powder or Dutch-processed cocoa powder. We prefer regular, so the recipe was developed with that in mind. We don’t recommend substituting the natural cocoa in this recipe with Dutch-processed unless you know what you’re doing, i.e., modifying the baking powder and baking soda amounts. If you do know what you’re doing in that regard, please add a comment below for others. Thanks! Preheat the oven to 350 °F. Line an 8"x8" baking pan with parchment paper. Place the prepared pan in the oven to preheat while you make the brownie batter. You can also make these in 12 muffin tins by lining the tins with paper liners and place the pans in the oven to preheat. Follow the directions for making the flax eggs. Remember you're making three flax eggs, not one. Set aside. In a separate bowl, stir together the cocoa powder, pastry flour, baking powder, baking soda, and salt (if using). Set aside. In a food processor, blend the beans, sugar, and applesauce for about 30 seconds. Keep the food processor running and pour the apple cider vinegar, vanilla, and flax eggs through the opening in the lid, blending well after each addition. Blend another 30 seconds. Stop the food processor, add the flour mixture, then process just 2-4 seconds, until the flour disappears into the batter. Gently spread the batter into the prepared, preheated baking pan (or divide the batter between the 12 muffin tins). Bake for 25-30 minutes, (or 20-23 minutes for the muffins), until a sharp knife or toothpick inserted into the center comes out clean. Nutrition (per brownie): 142 calories, 76% calories from carbohydrates, 8% calories from protein, 15% calories from fat, 4.3 g fiber.